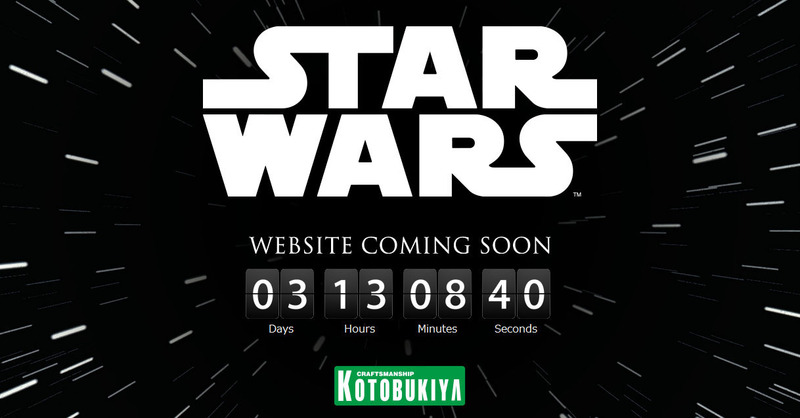 On the official Kotobukiya Website, they have a countdown clock running. They are planning to launch a new Star Wars website, and the clock points towards a Force Friday reveal! Could we be seeing all new The Force Awakens ARTFX, Bishoujo and/or Fine Art statues? I guess we’ll find out in 3.5 days! We’ll update when the site goes live. You can check it out Here. Pretty cool but I almost wish there was more time for some of these Japanese lines to play with the first 6 movies before having to jump on the new one already. HTS seems to be doing the same thing...when does the movie come out?